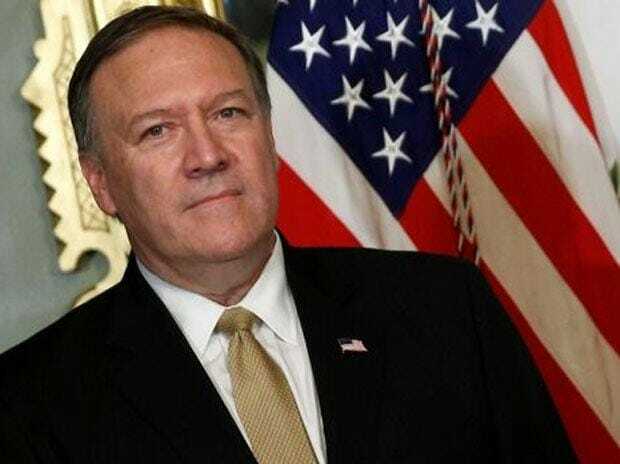 US Secretary of State Mike Pompeo played an "essential role" in de-escalating tensions between India and Pakistan last week, according to a top State Department official. Tensions between India and Pakistan flared up after a suicide bomber of Pakistan-based Jaish-e-Mohammed (JeM) terror group killed 40 Central Reserve Police Force personnel in Kashmir's Pulwama district on February 14. State Department Deputy Spokesperson Robert Palladino, during his bi-weekly news conference on Tuesday, said: "Secretary Pompeo led diplomatic engagement directly, and that played an essential role in de-escalating the tensions between the two sides". "We continue to urge both sides to continue to take steps to de-escalate the situation and that includes through direct communication. We believe strongly that further military activity will exacerbate the situation," he said. Palladino also reiterated America's call for Pakistan to abide by its UN Security Council commitments to deny terrorists sanctuary and block their access to funds. Pompeo made the diplomatic efforts over phone from Hanoi where he was present to attend the North Korea summit with US President Donald Trump, he said. "He (Pompeo) spoke with leaders in both countries, and that included the Indian Minister of External Affairs (Sushma) Swaraj, National Security Advisor (Ajit) Doval, and Pakistani Foreign Minister (Shah Mehmood) Qureshi," Palladino said. Meanwhile, Congressman Brad Sherman on Tuesday commended both India and Pakistan for continuing to show restraint. "We must never forget that no one can win a war between nuclear-armed powers. I will continue to monitor the situation closely," he said.